Red or Black You Decide? Technology, eh? What a wonderful thing. Amongst the wonderful gifts it has given us are ample opportunities to play our favourite casino games on our computers, laptops, tablets and phones without even having to change out of our onesies. But do you ever feel like there’s something missing? 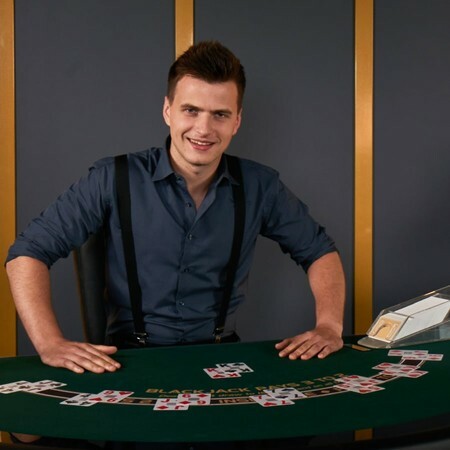 Hitting the blackjack and roulette tables is exciting enough, but wouldn’t it be cool if the games were overseen by real human dealers, who you could interact with as the action unfolds? Well, good news friend: you already can. That’s the magic of live casino games. From roulette and blackjack to baccarat, the basic principles of your favourite casino games are exactly the same in their live dealer versions. 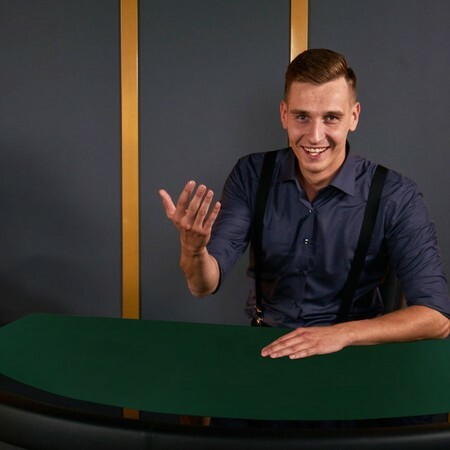 But as the name suggests, in a live casino online your bets are taken by an actual human being, who just happens to be working in a proper casino hall that is being streamed directly to your chosen device courtesy of Paddy Power. What is the difference between an Online Casino and a Live Casino? Good question! 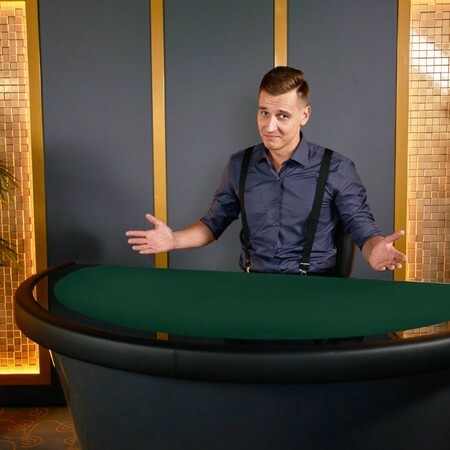 A live dealer casino features a number of edge-of-the-seat games where the action unfolds in the safe hands of a professional dealer. They take your chips, deal the cards, spin the wheel and so on, and you can interact with them as the game takes place. All of the drama is live streamed in HD too, so this is the closest you can get to the thrills and spills of the casino without having to get up off the sofa, if that’s where you choose to spend your time. On the contrary, an online casino is a website or platform, like Paddy Power, that offers casino games online. These can be live or traditional, non-live online games. So, who are these mysterious live dealers? The first thing to note is that they are all professional croupiers; they’re not actors or merely people selected because they look good on screen. You can rest assured that they are highly skilled and know each of the games they oversee like the back of their hand. In many live dealer casino games, you can interact with the dealers too. So it helps a lot that they are all good fun and up for a laugh as well - we know, because we've picked them carefully. Can Live Dealers see players? No, the live dealer cannot see you at home. So, if you’re sat in your superhero pyjamas down, don't worry! Can players see other users? All you can see on your game screen is the dealer going about their business and the game board – whether that’s the roulette wheel or the green felt of the blackjack, or baccarat. You’ll see cards and chips and useful information about betting options on your screen, but certainly not other players. Can users talk to Live Dealers? You can interact with the live dealers - in fact, we encourage you to. Occasionally, they will be able to hear you directly, and for other live dealer casino games you can talk to them via a live chat interface. As ever, the usual rules that apply to society are in play: don’t be rude, don’t be inappropriate and don’t act the fool, as you may find yourself banished. Can Live Dealers influence the game? Live dealer games are no different from traditional bricks-and-mortar casino offerings. Would you expect the dealer in a high street casino to tell you to hit on 17 when sat at the blackjack table, or tell you which numbers are hot on the roulette wheel? Of course not, and the same rules apply in the live casino. All the dealers are there to do is take your bets, hand out the cards and spin the wheel. If they can provide some light-hearted fun along the way then great, but don’t expect to be getting any expert strategies from them that are designed to bring down the house. Where can you find the best Live Dealers in UK? Right here at Paddy Power Casino, of course! We’ve got plenty of options for players, including traditional roulette and blackjack, as well as more diverse variants of those games. You can also try your hand at Casino Hold ‘em, Spin A Win, Sic Bo, 3-Card Brag and more. The concept behind live dealer games is to enhance the experience of users and bring them a step closer to land-based casino gaming while maintaining that play on the move vibe that so many players love. You might be too busy, not have a casino on your doorstep, or be something of a home bird who prefers staying in to going out. Live casino games are as close to the Las Vegas experience you’ll get without having to pay through the nose for flights and accommodation. As mentioned already, you’ll find a comprehensive range of live dealer games available at Paddy Power Casino, and we’ve left no stone unturned in providing an exceptional user experience to all who come to visit us online. 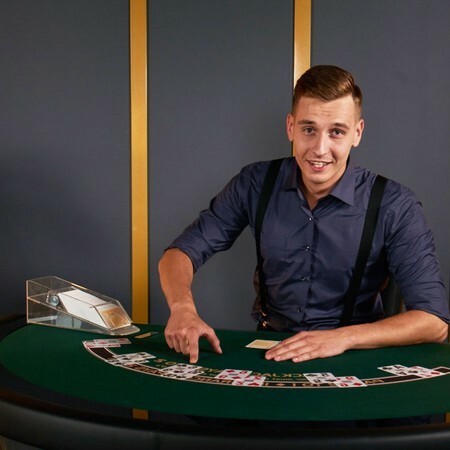 Like any good live casino online, you’ll find stacks of games available, with each vetted by Paddy himself to ensure they are of the highest quality. And with our traditional casino and sportsbook, as well as some hunky promotions and bonuses, there really is no better place to continue your live game odyssey. There’s a fantastic selection of live dealer casino games, with all of your traditional favourites ever-present alongside some unique titles you may not have had the pleasure of playing. 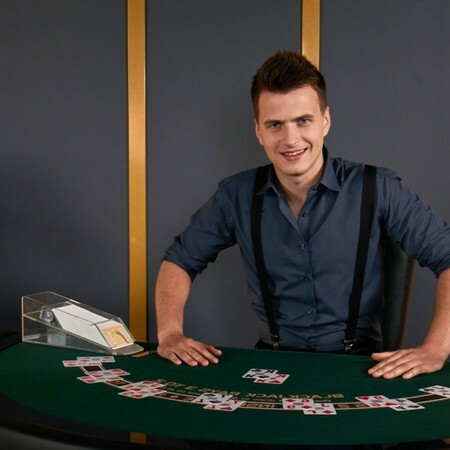 The presence of the live dealers can be a real asset in this latter category, as they can help you with the rules of the game as you get to grips with it. In short, the action of a live dealer game is exactly the same as any other casino offering. The difference here is that instead of clicking icons on a screen to place your bets and deal the cards, the dealer is on hand to oversee matters in the same way as they would if you were in a land-based casino. The graphic overlays still let you know how many chips you’ve got (relating to your account balance), and any wins are totted up and displayed on-screen for you to savour too. You'll often find even more useful stats and options on the game screen. What games can be played at Live Casino Tables? 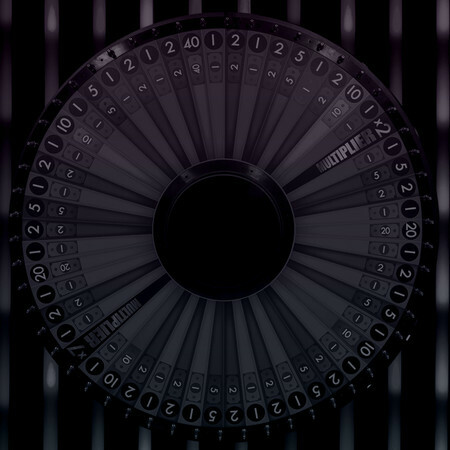 An end to impersonal games of roulette – a 2D wheel designed by a computer programmer whizzing around – is possible thanks to live roulette games, where the dealer will accept your wagers before setting the wheel in motion. Of all the live games online, live roulette is one of the most satisfying, with the clanking of the wheel as it grinds slowly to a halt to reveal the location of that little magic ball of destiny being incredibly exhilarating. Live casino games online don’t get any better than this! While traditional online blackjack is a fine way to spend your time, the action is elevated to a new level thanks to the presence of the live dealer. Suddenly, you feel like you are taking on the dealer and battling for supremacy, which is a nice little adrenaline rush on a cold and rainy Tuesday afternoon. There are plenty of niche titles to enjoy in Paddy Power’s live casino too. You can try your hand at 3 Card Brag, Baccarat, Sic-Bo, Hi-Lo, Casino Hold’em and the legendary Spin-a-Win, which will leave you feeling like you’ve wandered onto the set of a '90s TV game show. Here at Paddy Power Towers, we’ve gone that extra mile as far as our live blackjack channel is concerned. We’ve exclusively created a series of tables which will give you the taste of venues across the globe, from Miami and Havana to Tokyo, Shanghai, Monaco and Paris. Each of these tables has a different buy-in range and varying limits too, so there’s plenty of options for players to explore. Playing your favourite live casino games is a breeze at Paddy Power, and your hardest choice is narrowing it down to playing one at a time! All you need to do is select your chosen game from the lobby and wait to be connected to an empty seat at your chosen table. Once seated, you will be able to interact with the dealer at the table and place your bets in the ordinary fashion, with on-screen prompts helping to keep the action flowing. The rules for our live dealer casino games are the same as they would be for any other version of the title you have chosen. So, the rules for live dealer blackjack are the same as for traditional versions of the popular table game, and so on. As for strategy, it’s a case of each to their own on that front. If you have experience of playing at a live casino online then you may want to stick to the games that you are familiar with. If you are a complete newcomer to a live dealer casino, then take the time to read our rules and strategy guides for each casino game. It may just take your enjoyment of the game to the next level. This is the engine room of Paddy Power’s live casino. Here you will find all of the available games, listed by type and buy-in, and you will see highlighted in green how many seats are available at the table. All you have to do is decide which game you want to play, click or tap, and let the good times roll. Should I choose a full table or one that has empty seats? If a table is full, it is generally a sign that the action is unfolding at a nice pace – nobody has ‘rage quit’ the table – and that the dealer is doing a great job. Having said that, just because a table has free spaces it doesn’t mean that the experience is below-par. You simply may have chosen a more niche game to play, or you might be online outside of the most popular hours to play. Our advice is to simply stick with your favourite game(s). If a seat is free then happy days, if not you know it will be worth the wait. Can players sit at more than one table? Yes, you can. You can usually sit at up to three tables at any one time, although please be courteous to your fellow players and make sure you remain focused. There’s nothing worse than a player whose mind has wandered elsewhere and thus slows down the pace of play for everybody else! Paddy Power is a live casino dedicated to UK and Ireland players, where you have two options: you can play some of our games in ‘demo’ mode, which basically means you can throw around play money as liberally as you like, or instead you can tackle the dealer in an attempt to win real cash prizes. To access the demo versions of the game, you need to create an account. Paddy is certainly a generous soul when it comes to our live casino bonuses and promotions. Alongside the standard casino offers, there’s a welcome bonus specifically for those who want to partake in some live dealer game action. These terms are subject to change from time to time. For example, at the time of writing, new players will bank a 100% bonus on their first deposit with us, worth up to £100. You'll find welcome offers, casino match deposits, freebies and more on Paddy Power. Is playing at Live Casino safe? That’s the thing with the internet: Are your personal details safe, or is your identity currently being stolen by a 22-year-old in Peru who’s a whizz with Microsoft Paint? At Paddy Power Casino, you can rest assured that you are in the safest hands. Our site is encrypted with the latest SSL technologies, so any information you share with us – and us alone – is kept secure. We also continue to be regulated by the UK Gambling Commission, who ensure the highest standards of practice are adhered to. So, what are you waiting for? Sign up today and choose your favourite live casino table.